Renting a car in Britain and Ireland can be a smart move — especially in Ireland, which lacks an extensive rail network. While Great Britain's trains go to most places of tourist interest — and just about everything's reachable by bus in both countries — the bucolic landscape you'll see here is most easily experienced by car. Behind the wheel you're totally free, going where you want, when you want. Driving in the British Isles is wonderful — once you remember to stay on the left and after you've mastered the roundabouts. 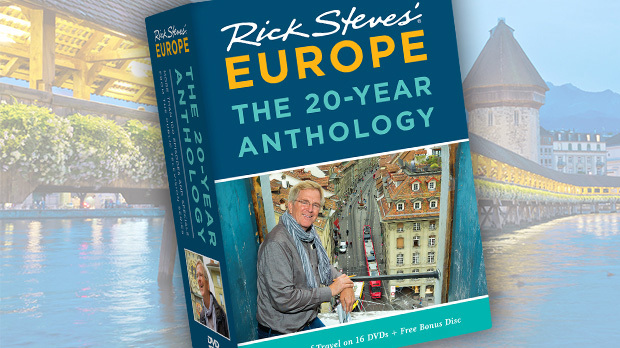 But be warned: Every year I get some emails from traveling readers advising me that, for them, trying to drive in Great Britain and Ireland was a nerve-wracking and regrettable mistake. Here's a tip: If you want to get a little slack on the roads in Ireland, drop by a gas station or auto shop and buy a red "L" (new driver with licence) sign to put in your car window (but wait till you're outside of Dublin, as Irish "Learners" aren't allowed to drive on the motorways that cluster around the city). In Britain, though, avoid the "L" sign as you've got a second option: a green "P" (probationary driver with license), which you can use on all roads in Britain. 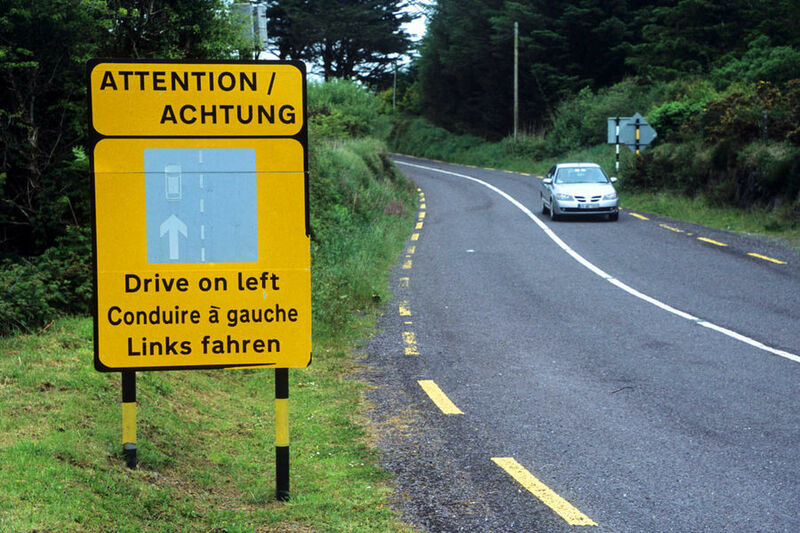 Of course, in Britain and Ireland you'll be driving on the left-hand side of the road. Why that side? Originally, it was in order for you to drive defensively…with your "sword hand" on the inside to protect you against unknown oncoming horsemen. Many Yankee drivers find the hardest part isn't driving on the left, but steering from the right. Your instinct is to put yourself on the left side of your lane, which means you may spend your first day or two constantly drifting off the road to the left. It can help to remember that the driver always stays close to the center line. Not only will you be driving on the left, but you'll be using roundabouts, where traffic continually flows in a circle around a center island. These work well if you follow the golden rule: Traffic in roundabouts always has the right-of-way, while entering vehicles yield. For some drivers, roundabouts are high-pressure traffic circles that require a snap decision about something you don't completely understand: your exit. Pay attention to the instructions painted on the pavement as you approach bigger roundabouts; they tell you which lane to be in for a destination well before you get to the actual roundabout. To replace the stress with giggles, make it standard operating procedure to take a 360-degree, case-out-your-options exploratory circuit. Discuss the exits with your navigator, go around again if necessary, and then confidently wing off on the exit of your choice. Whenever possible, avoid driving in cities. London even assesses a congestion charge — about $16 per day — to drive in the city center. It's best and less stressful to begin your driving experience away from big cities, so try renting your car in a smaller town. 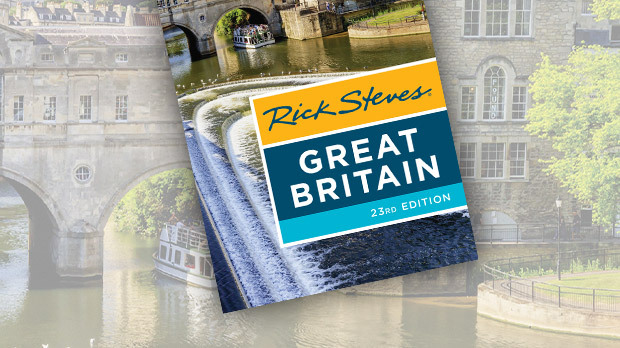 A pleasant scenario for a Britain itinerary would be to start your trip in a small town such as Bath, rent a car when leaving Bath, explore Britain at your leisure by car, then drop off the car in York, and take the train into London, where you can rely on the excellent public transportation system. Outside of the big cities and the motorways (freeways), British and Irish roads tend to be narrow. Adjust your perceptions of personal vehicular space. It's not "my side of the road" or "your side of the road." It's just "the road" — and it's shared as a cooperative adventure. In towns, you may have to cross over the center line just to get past parked cars. Sometimes both directions of traffic can pass parked cars simultaneously, but frequently you'll have to take turns — follow the locals' lead and drive defensively. On rural roads, locals are usually courteous, pulling over against a hedgerow and blinking their headlights for you to pass while they wait. Return the favor when you're closer to a wide spot in the road than they are. Do some homework before getting behind the wheel. Consider supplementing online/GPS maps with a detailed Ordnance Survey road atlas. You'll notice some differences between driving in the Republic of Ireland versus the United Kingdom (Great Britain and Northern Ireland). 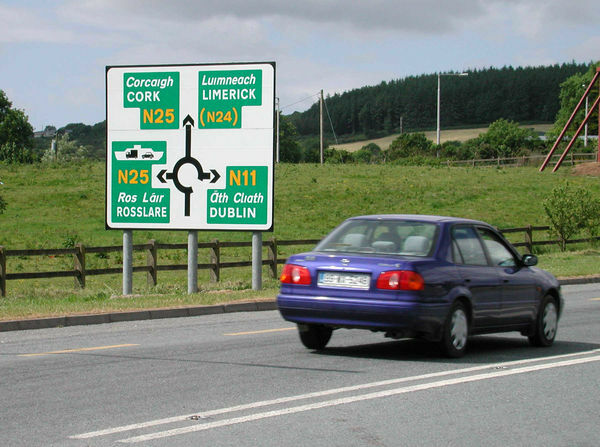 In the Republic of Ireland, the speed limit is in kilometers per hour, road signs are usually bilingual (but not always — geill sli means "yield"), and roads are more likely to be bumpy and poorly maintained. In the United Kingdom, the speed limit is in miles per hour, signs are in English (except in Wales, where they're bilingual), and roads are generally in better condition. Even if you don't drive there, as a pedestrian you'll have to remember that among our British and Irish cousins' many unusual habits, traffic comes from the opposite direction — look both ways before crossing any street. Horror stories about driving overseas are fun to tell, but driving in the British Isles is really only a problem for those who make it one. The most dangerous creature on the road is the panicked tourist. Drive defensively, observe, fit in, avoid big-city driving when you can, and wear your seat belt.